Hooray! Our Solar System Jewelry series has been featured by The Planetary Society, MAKE:, NASA, and NPR's Science Friday! 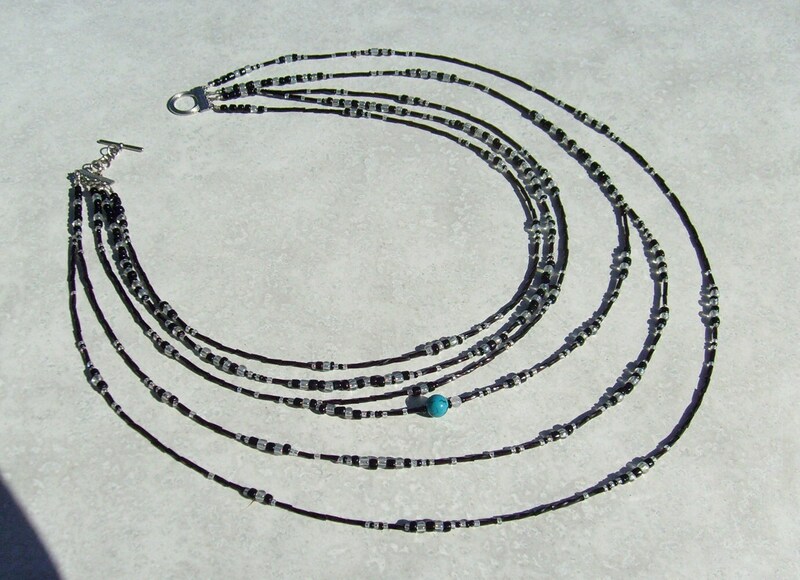 A multi-strand beaded necklace representing the Celestial arms of the Milky Way Galaxy and the approximate position of the Earth on the Orion Spur. A wearable version of an astronomical chart, with glass and stone beads representing the arms of the Milky Way and the Earth and Moon in our approximate location, this Milky Way necklace is a decorative cosmogram, inspiring thoughts of the vastness of space. Arms of the Milky Way are represented in order and relatively spaced from the center of the Galaxy. 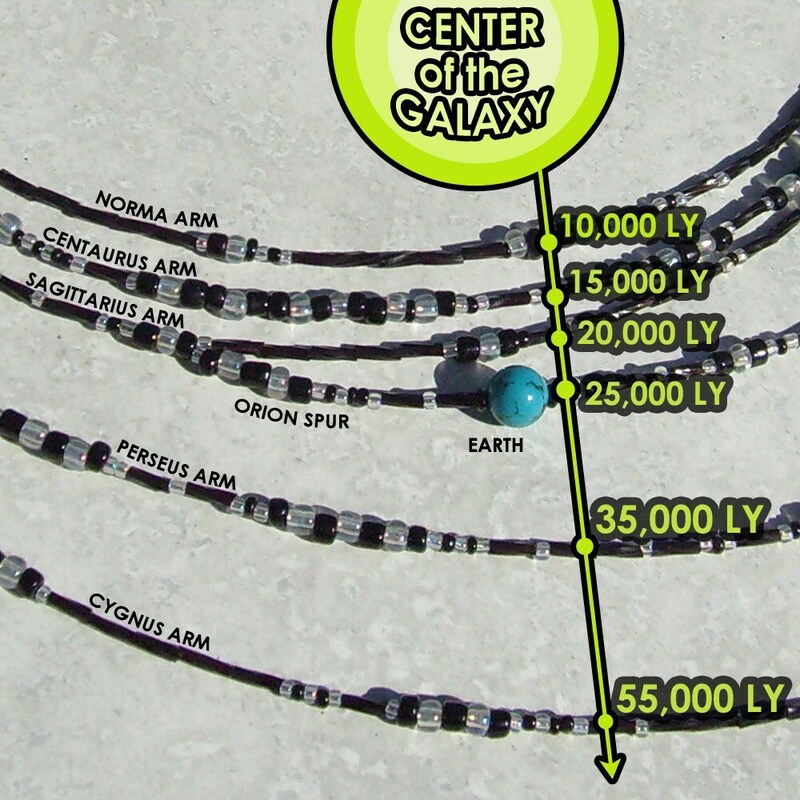 Centaurus and Perseus strands have a higher density of opalescent glass beads, to represent that these galaxy arms have a higher density of star systems. Earth and our Moon are represented on the Orion Spur, which branches off of the Sagittarius Arm. Earth is Turquoise and the Moon is White Moonstone. Earth and Moon are enlarged for dramatic emphasis*. **This necklace can also be made longer by extending the chain in the back. please allow an extra 1-2 weeks for your order to be completed. My newest piece from Chain of Being. Great customer service, sweet lady, beautiful work. This necklace is definitely one of my favourites. If buying for a gift, buy early to make sure it arrives on time. Good things come to those who wait, and I am very happy with my Milky Way.